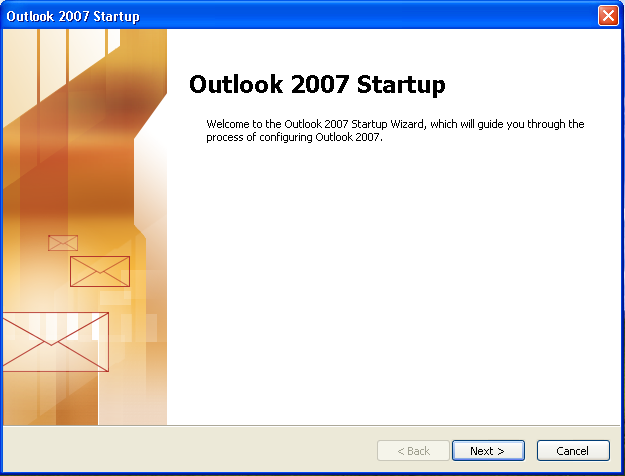 2) Outlook 2007 Start Up Wizard pops up. 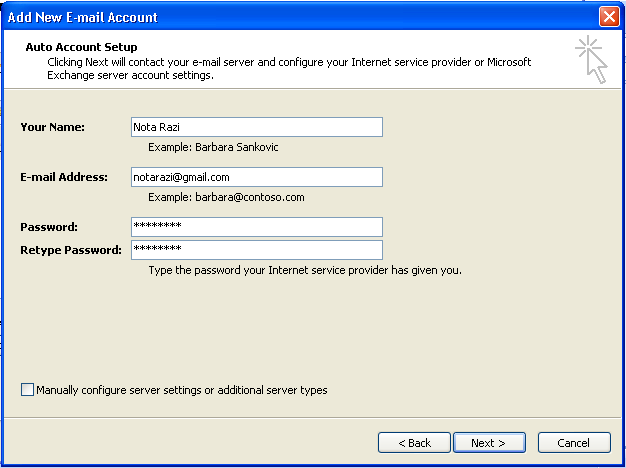 For demonstration purpose, we will connect to a Gmail account. 5) Get a success message. 6) Option for instant search. 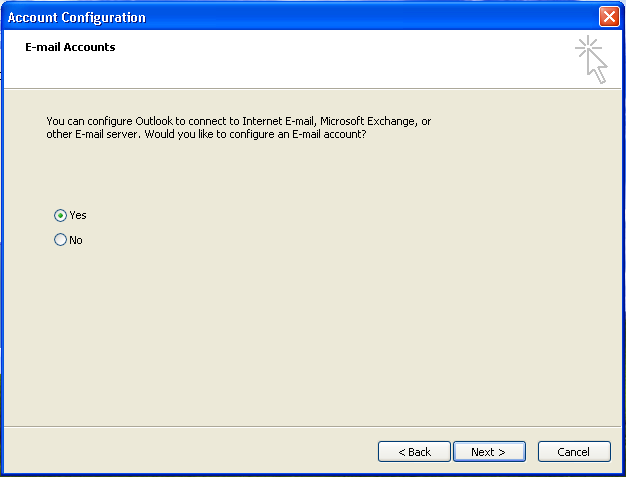 You may omit this option. 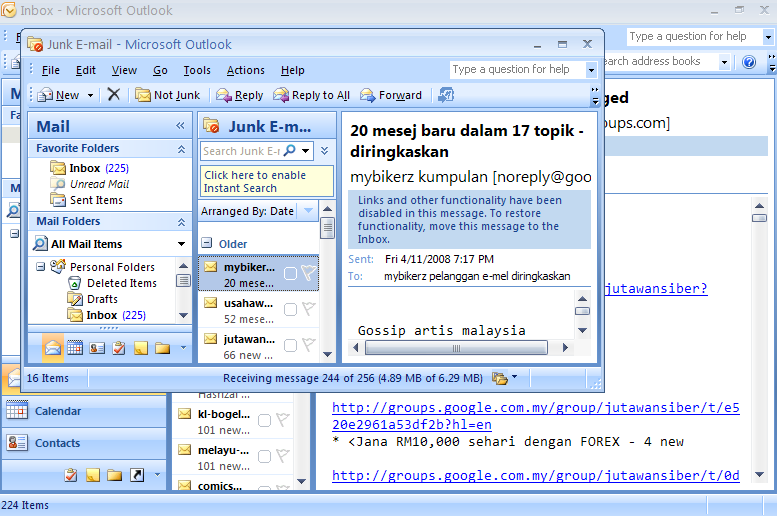 8) Main window loads into the screen. 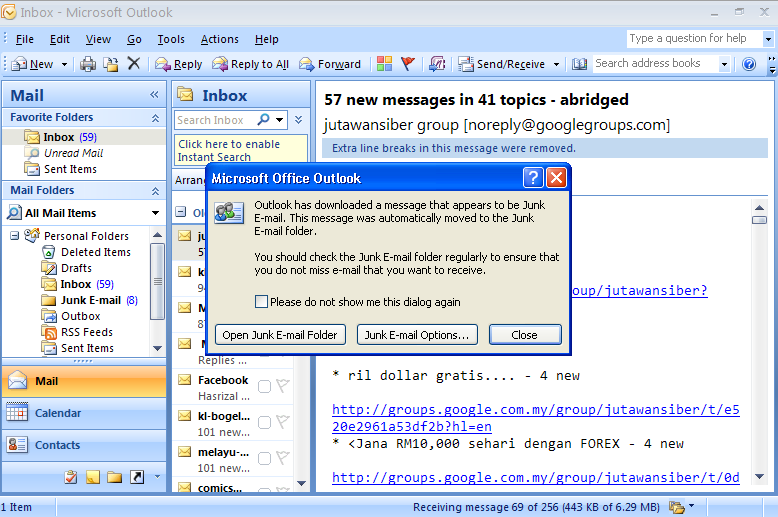 A Junk warning message may appear.